Kim’s Wig Must Be Squealing With Delight! NeNe Gets Booted From Her House. NeNe must have thought she only owed $29, but she really owed like $89. According to AccessAtlanta NeNe Leakes and her husband Greg have gotten the boot from the house that they were living in while filming the Real HOusewives of Atlanta. The broker for the home claims that NeNe and crew moved out in November after they were served an eviction notice in September for failing to pay $6240 in past due rent. Uh oh! This isn’t sounding to good for NeNe. She better start looking to date and marry some famous ath-uh-lete or she won’t be able to live the fab-uh-lous life any longer. Real Housewives of Atlanta: Meet Kim's Scissor Sister, Boys and Girls. 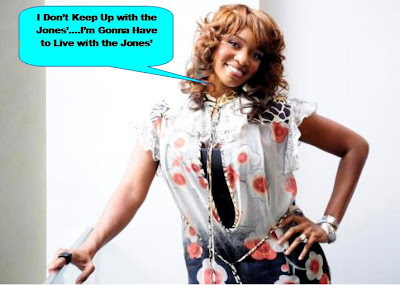 Real Housewives of Atlanta: Joyce's Wig FTW!